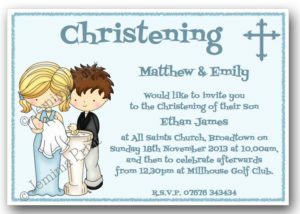 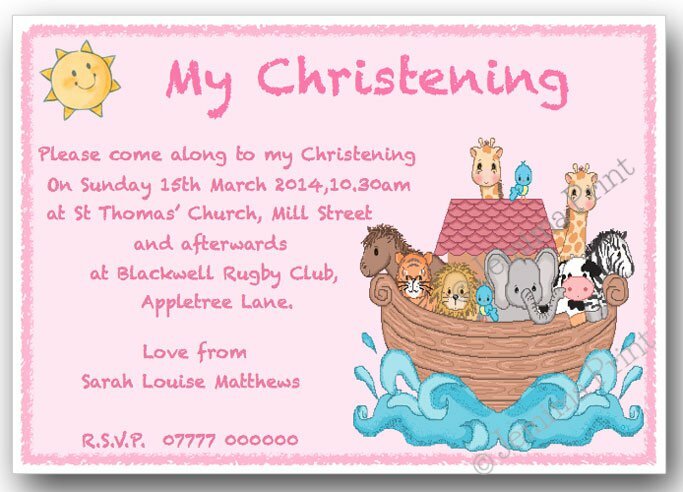 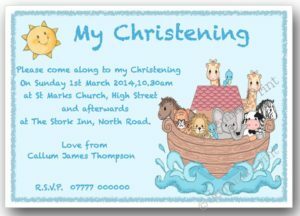 The standard wording on this design is….. My Christening – please come along to my Christening, on date & time at venue and afterwards at (venue). 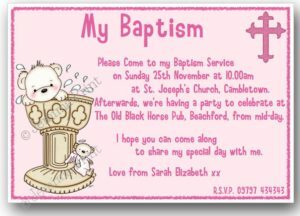 ‘Love from’……(child’s name), R.S.V.P……. 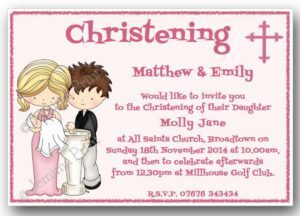 (phone number).